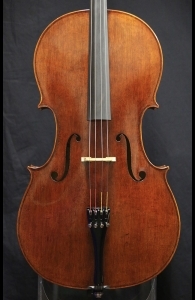 Description: This is the latest Eric Benning cello completed in 2018. Beautiful Bosnian maple which has been in our family for over 3 generations. The top of Italian Spruce is from the 1920’s. This Stradivarius model comes from Carl Becker of Chicago, Eric’s Great-Uncle. 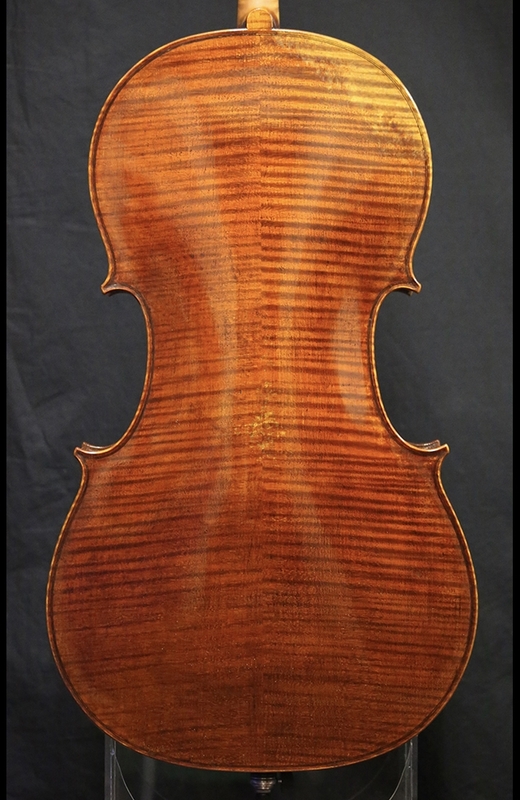 The varnish is a dark, red-brown color over a golden ground inspired by the ‘Christiani' Stradivari cello. This cello has a deep, rich and powerful tone on the bottom strings and a colorful and penetrating, upper register. 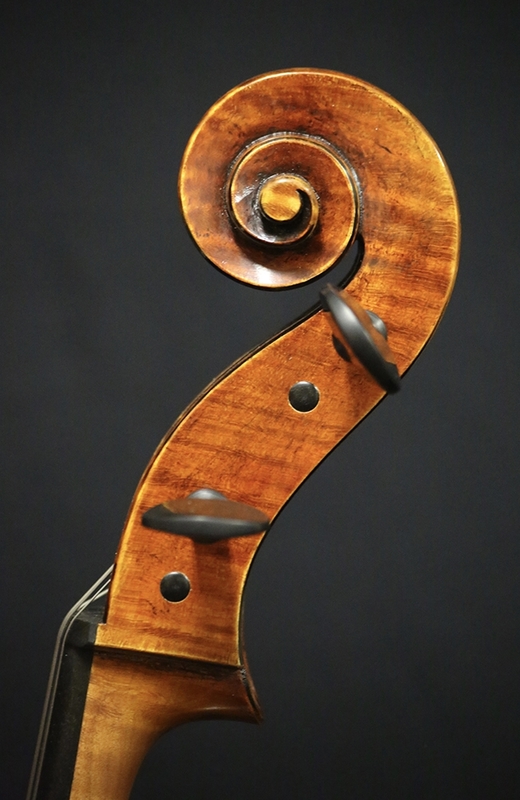 Suitable for the finest cellists and those who are aspiring.